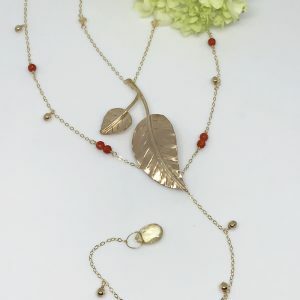 Celebrate the seasons, anytime of year, with this lovely Autumn leaf and “berry” gemstone necklace. 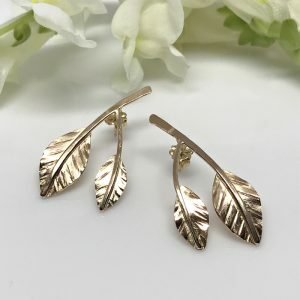 Simple leaf jewelry...casual enough for jeans and a tee but elegant enough for an evening out. Easily go from day to night with the understated beauty of a simple Fall leaf combined with the luxe beauty of gemstone berries. Silver Autumn leaf gemstone necklace. 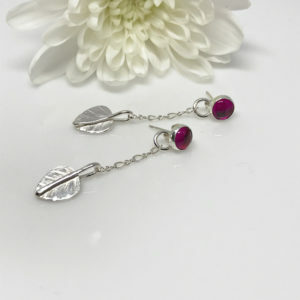 A single leaf gently sways from a silver stem; adorned on each side by a gemstone “berry”. Each berry is a softly hued green adventurine cabochon gemstone. 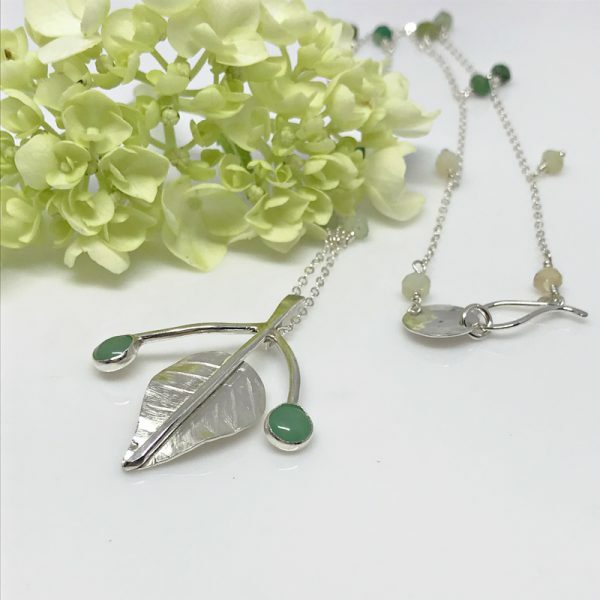 Delicate Argentium silver chain holds the leaf and berries while petite jadeite stones dangle at one inch intervals. Not only do these stones range in color from an opaque ivory to a deep warm yellow but they also range various shades of green. You’ll be dazzled by their richness and depth. In addition, the clasp is hand forged and hammered from Argentium silver. 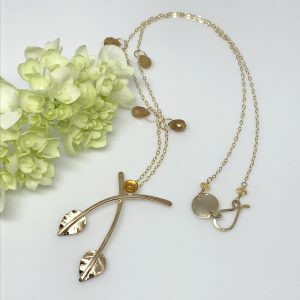 The length is 18 inches with the leaf pendant adding an extra inch and a half.